This was, in fact, my third visit. I came to take away during the first 2 times. Mr Tay, the owner, kind of remember me as I chatted with him the last time. 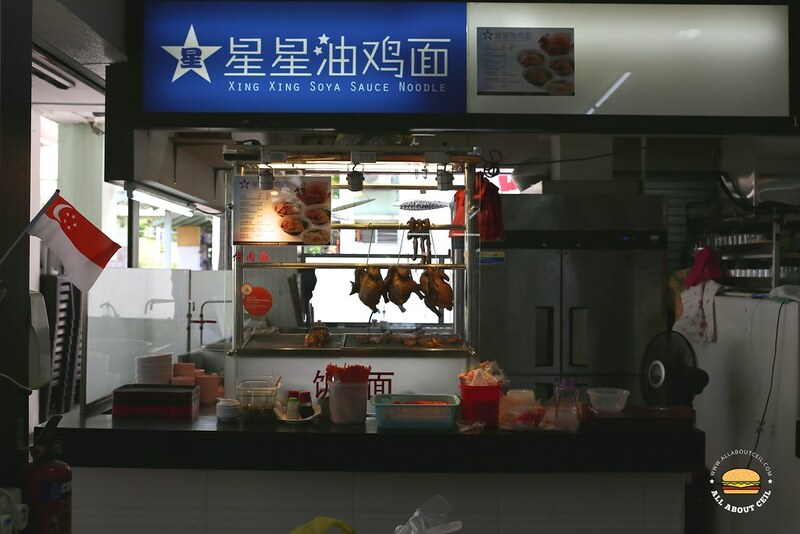 This stall is located at the coffee shop near to the Mayflower Food Centre where the popular Hong Kong Street Zhen Ji is located. I said, "Your Soya Sauce Chicken is very nice, it is even nicer than that Michelin Soya Sauce Chicken." Uncle replied, "Oh, I know him." I continued to say, "That Soya Sauce Chicken is not the best but it is cheap." Uncle said, "Yeah, it is only $2 and so many elderly folks queue for it." I replied, "But now, not quite possible as the queue is very long." Uncle also said, "I used to own a stall at Philip Street as there is always a long queue." He even took out his phone and showed the picture of a stall by the name of Gourmet Corner. I asked, "Do you open on Monday?" Uncle replied, "Yeah. We are closed on Tuesday." I said, "Most of the stalls usually closed on Monday". He said, "That is the reason why we choose to close on Tuesday." I asked Uncle, "Besides, your Soya Sauce Chicken, which is the best in your opinion?" Uncle chuckled and he did not answer. 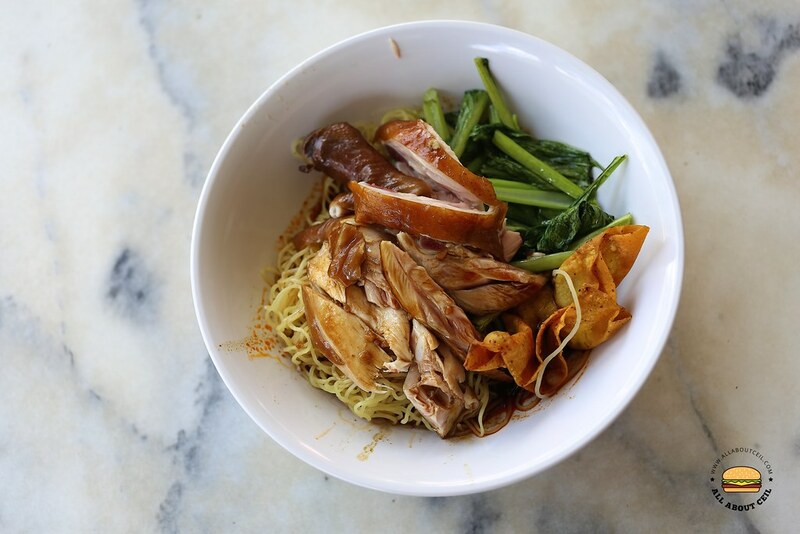 This time, I decided to have the Chicken Drumstick Noodle ($4) with Dumpling Soup ($5). While waiting, one of his regular customers came by and she asked, "Boss, no roasted pork for today ah?" Uncle replied, "Not for Monday" and that customer walked off. While preparing, Uncle asked again, "Which part do you want?" I replied, "I want the drumstick.". While deboning the drumstick, he added extra meat from the chicken breast. He also added a fried wanton. I said, "Today, got fried wanton?" He said, "For you to try." I did not ask for extra chilli this time but I think he remembers that I did ask for it the previous time. He scooped a pile of chilli into the bowl and asked, "Enough?" and I nodded my head. It was then mixed with some braised sauce before he tossed the noodles in it. He added some crispy lard bits the previous times but it was missing this time. 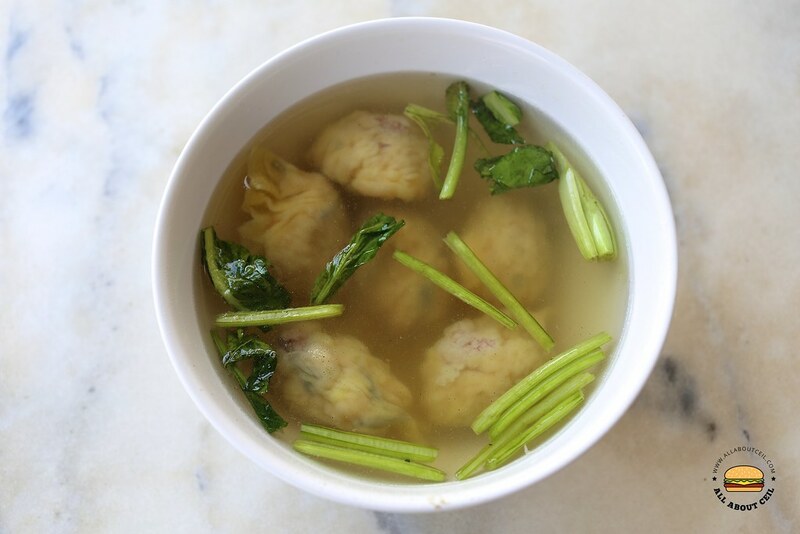 He asked me to come back 5 minutes later to collect the Dumpling Soup but he brought it to my table when it was ready. The soya sauce chicken though flavourful but not as sweet as some that I had eaten, its texture was smooth and soft. The egg noodles were cooked well to the right texture with the desired springiness. While eating, he came by to ask, "How is the dumpling?" I said, "Very big, and nice too." He replied, "I added a lot of ingredients, including the prawns". He said, "Try the fried wanton. I used the same filling in it." There was a total of 5 pieces of dumplings served in a lightly flavored soup. I asked Uncle, "Those dumplings are handmade by you?" He said, "Everything is handmade here." 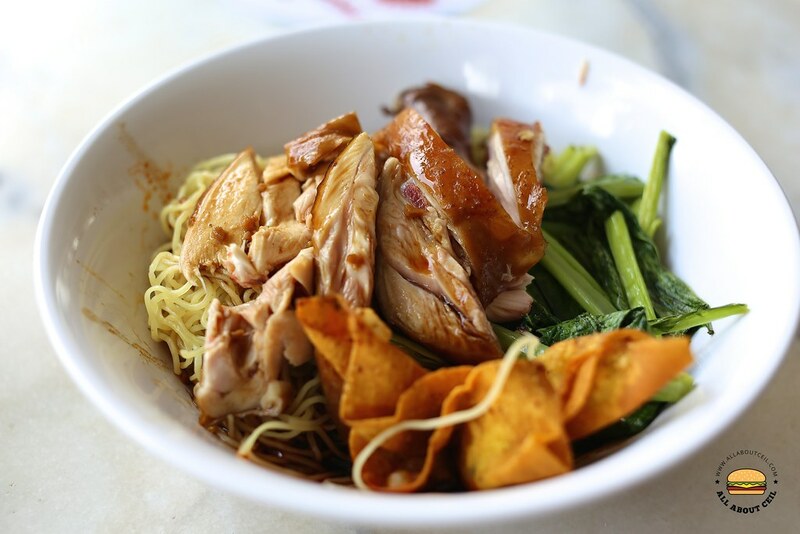 This is one of the better Soya Sauce Chicken in Ang Mo Kio and you should try it if you happen to be in the vicinity.